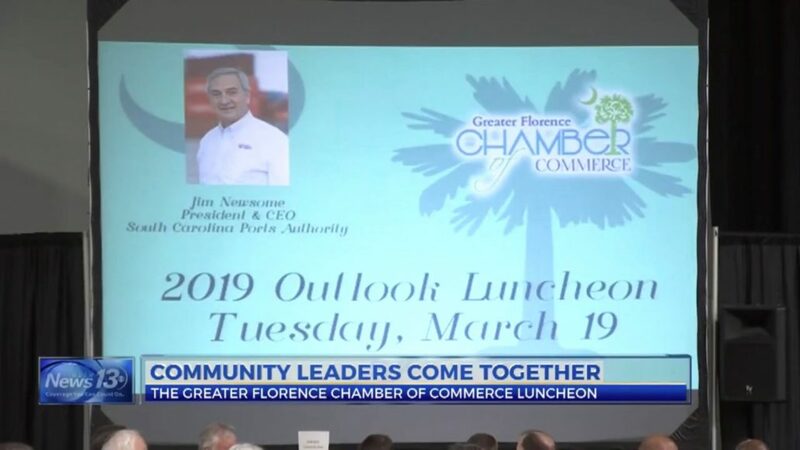 On Tuesday, 500 community leaders came together for the Greater Florence Chamber of Commerce Luncheon. The guest speaker was James Newsome, the president and CEO of the South Carolina Ports Authority. The “Small Business Person of the Year Award” was given to Blake Pate, who has been operating a local Chick-fil-A for 10 years. “It was massively important, I was lucky enough to get to work side by side with my dad for about seven years, and I just learned so much from him and took so much from him, and the fact that he won this award five years ago and now I get to win it, just means a lot it’s a lot, so it pretty awesome,” said Pate, the operator of Chick-fil-A in West Florence. Pate’s Chick-fil-A location will soon eclipse the $125,000 mark in scholarships awarded to employees over the past ten years. To read the full article and to watch the video on WBTW News, click here.